The office is between Finley Road and South Highland Avenue, about a mile east of Interstate 355 and a mile west of Yorktown Shopping Center. The new location is a block west of the firm’s previous Lombard office. 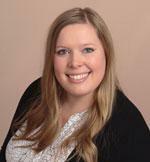 A. Traub & Associates is proud to announce the hiring of Breanna T., MSW, LCSW, as its staff Licensed Clinical Social Worker. She will focus on the firm’s need for social work services for its individual clients and support the firm’s broad base of representing the interests of children. "Chantelle has been a phenomenal asset to A. Traub & Associates and just all in all great to have around. 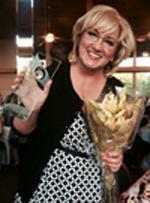 Her unwavering commitment to the local legal community and her clients is impressive. It was an easy decision to name Chantelle as a partner and we look forward to her success within this new role," says Principal Owner of A. Traub & Associates, Angel M. Traub. Congratulations to our own Margaret M. O'Connell for being awarded a 2015 Pro Bono Service Award from the DuPage Legal Assistance Foundation at the DuPage County Bar Association's Law Day celebration. 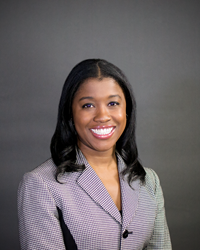 The Lombard law firm A. Traub & Associates is pleased to announce that Senior Associate Chantelle A. Porter has been recognized as a 2015 Illinois Super Lawyers Rising Star. 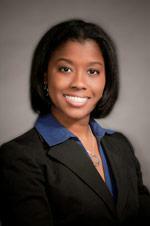 This year marks the fourth straight Super Lawyers recognition for Porter as she was first named a Rising Star in 2012. Super Lawyers Rising Stars are among the top 2.5 percent of attorneys in the state of Illinois. Attorneys who are chosen as Super Lawyers Rising Stars are selected through a multi-phased process, which includes formal nominations, research, and peer evaluations. Every Super Lawyers candidate is evaluated on 12 indicators of peer recognition and professional achievement and the selections are made on an annual, state-by-state basis. 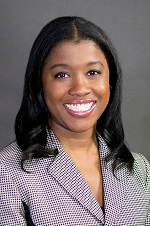 Lombard family lawyer Chantelle A. Porter, a Senior Associate Attorney at A. Traub & Associates, has been appointed as a member-at-large to the Illinois State Bar Association (ISBA) Board of Governors. As a member of the Board of Governors, Porter will serve a two-year term. The 27 members on the Board of Governors oversee the operations and management of the ISBA. The Board helps ensure the association adheres to the general policies set by the member assembly. The ISBA is comprised of 33,000 members across the state of Illinois with offices in both Springfield and Chicago. The ISBA provides professional services to Illinois lawyers and legal professionals, and offers educational services to the general public through their website, brochures and distribution of legal information. 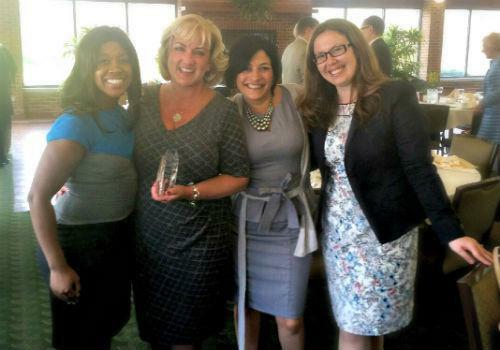 A. Traub & Associates would like to congratulate Lombard criminal lawyer Margaret M. O'Connell on earning the 2014 Inspirational Woman Award from the DuPage Association of Women Lawyers (D.A.W.L.). 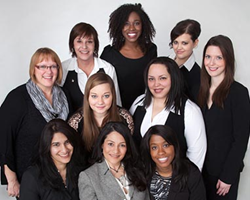 This year marks the eighth year that the Inspirational Woman Award was presented to an exceptional female attorney in DuPage County. According to D.A.W.L., The Inspirational Woman Award is presented to a female attorney who has achieved success, not only in the courtroom or in the office, but also in her life. O’Connell was presented with the award at the organization’s Annual Installation Dinner of President Elect Kiley M. Whitty. O’Connell was selected for this prestigious honor based on Board of Directors’ recommendations and membership nominations. Lombard family law firm A. Traub & Associates is pleased to announce they have relocated and expanded their DuPage office in order to better serve their clients’ needs. 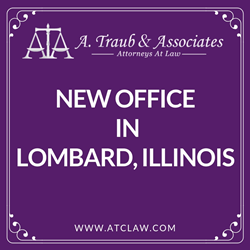 The new Lombard law office is located at 100 W. 22nd Street Suite 150, Lombard, IL 60148. The expansion of the office included the addition of a children’s room. This child-friendly space is used as a supervised visitation room for Guardian ad Litem meetings and reunification meetings. Most recently, the children’s room was utilized to facilitate the reunification of a military father and his child. Lombard law firm A. Traub & Associates is pleased to announce the addition of criminal defense and family law attorney Margaret M. O'Connell to the team. O’Connell brings a wide array of legal experience to the firm. 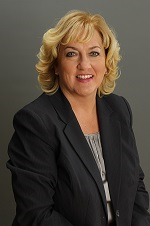 O’Connell focuses her practice on criminal defense, family law, traffic and expungement law. She is also a Guardian ad litem for the Eighteenth Judicial Circuit. Prior to joining A. Traub & Associates, O’Connell worked as an Assistant State’s Attorney in DuPage County. During this time she prosecuted cases involving domestic violence, child abuse, felony crimes and misdemeanors. Additionally, O’Connell spent time as Senior Assistant Attorney General, where she prosecuted cases in the Criminal Trials Assistance Bureau throughout Illinois.